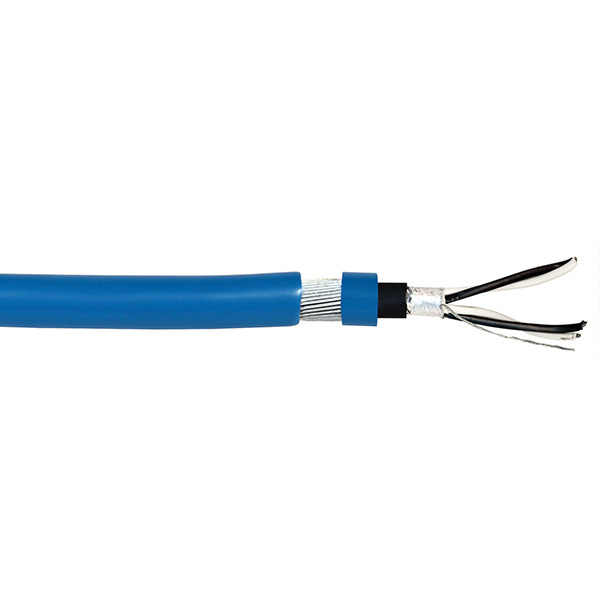 Hazardous Areas This steel wire armour cable is suitable for use for instrumentation in oil and gas industries, mine sites and other harsh environments, when wiring of intrinsically safe circuits are specified. Signal and Controls Power control or signal/instrumentation cables on machines, conveying equipment or similar industrial applications. Marine Tinned copper conductors for use in marine applications. Conductor Annealed tinned copper stranded (Class 2). Insulation Special SPVC V-90 (available in LSHF on request). Screening Collective shield of aluminium/polyester foil complete with tinned copper drain wire. Bedding Flame retardant 5V-90 PVC extruded non-hydroscopic. Sheath Special SPVC 5V-90 (available in LSHF on request). Operating Temperature Range Fixed -20°C to 90°C. Rated Voltage 110VAC / 150VDC. Minimum Bending Radius 10 x cable diameter. Sheath Colour Intrinsically safe blue. Standard Core Colours Each pair – 1 x white and 1 x black conductor, with numbered cores. Relevant Standards AS/NZS 1125, AS/NZS 2381, AS/NZS 3808, IEC 60332-1-2, IEC 60079.14, IEC 60332-3-22, ROHS Compliant.